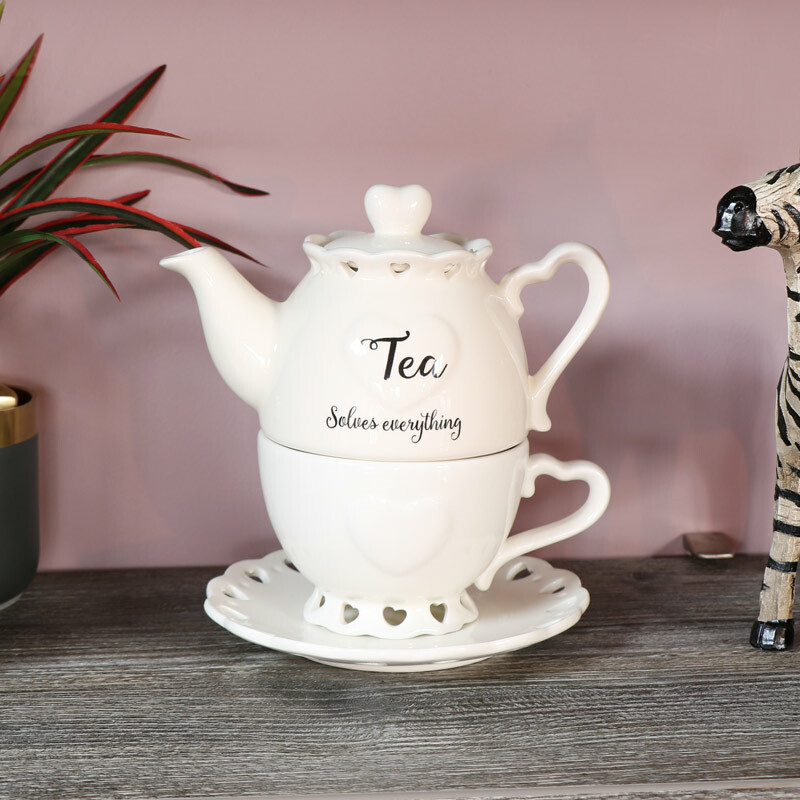 This charming tea-for-one set comes with a one cup teapot sat upon a matching teacup in a cream glazed finish. Add some love in a country cottage style to your kitchen decor. Get your day off to a good start with a nice hot cup of tea. This charming little one person tea set comes complete with a saucer to catch any spills. Decorated with dainty cutout hearts and heart shaped handles on the cup and teapot. With matching crockery available that will add a delightful look to your home and kitchen. 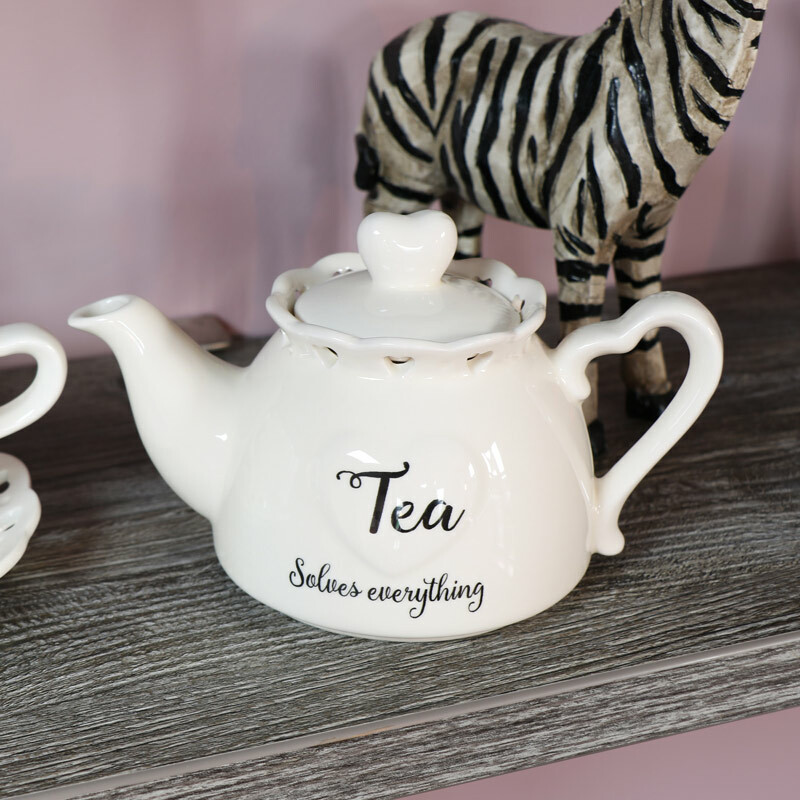 This charming tea-for-one set comes with a one cup teapot sat upon a matching teacup in a cream glazed finish. Add some love in a country cottage style to your kitchen decor. Get your day off to a good start with a nice hot cup of tea. This charming little one person tea set comes complete with a saucer to catch any spills. 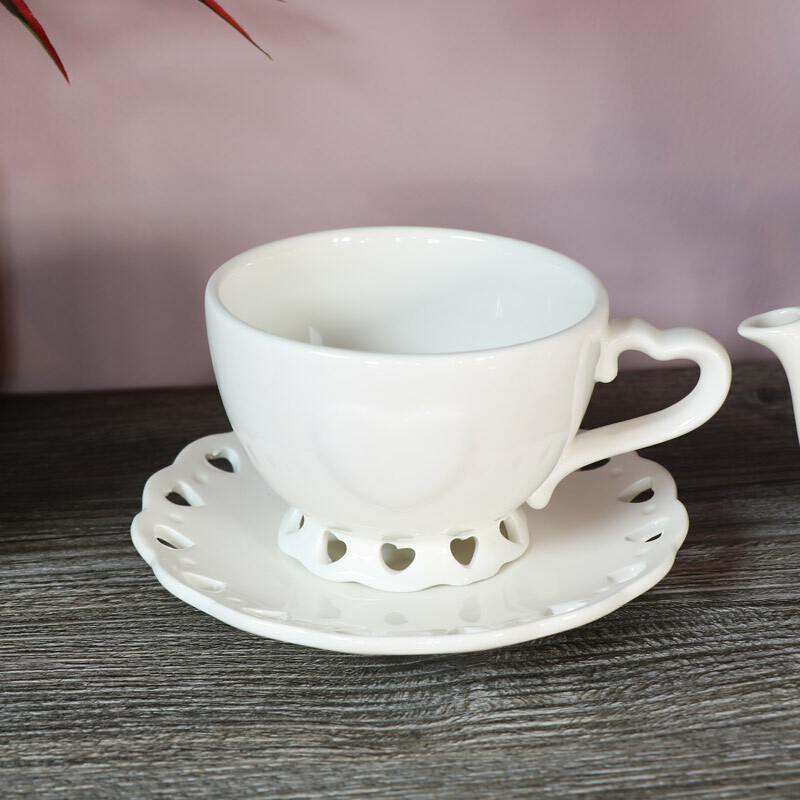 Decorated with dainty cutout hearts and heart shaped handles on the cup and teapot. With matching crockery available that will add a delightful look to your home and kitchen. Crafted from dolomite in a cream glazed finish.